Published: Mar 1, 2001 to ? 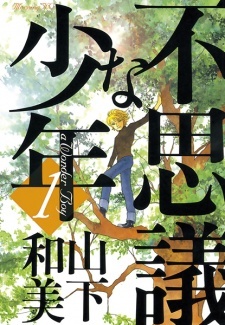 The manga is made of different short stories linked together by the mysterious boy with no particular name. The boy travels in different times and places, trading with different people, letting them to have a glimpse of their future or past or the secret of others, and bet to see if they can change their fate.